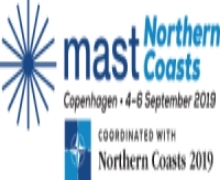 Through its Navy and MoD supporters, MAST will coordinate closely with the navies and ships taking part to enhance the MAST experience during the week, meaning that some of the hosted ship/systems tours will be “themed” to MAST-specific conference streams – e.g. MCM, ASW, Missile defence, etc. – and become an integral part of the MAST conference and exhibition programme.